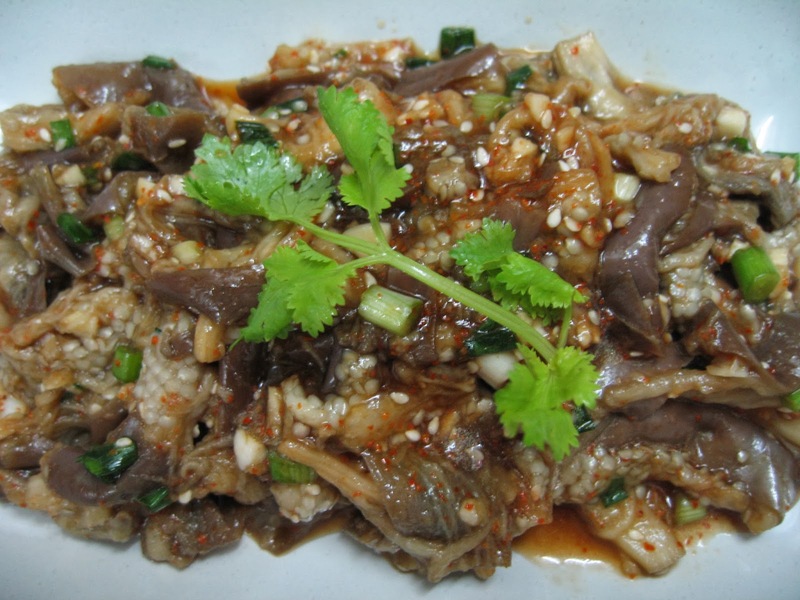 This steamed Korean eggplant dish is simple to prepare and very healthy. One just need to steam the eggplant, tear them into strips by hand, then add in the seasonings and it's ready for serving. How I wish the preparation and cooking of other tasty dishes be so effortless. Then life can truly be simple! 1. Cut the eggplants into two or three sections. Then cut each piece into half lengthwise. 2. 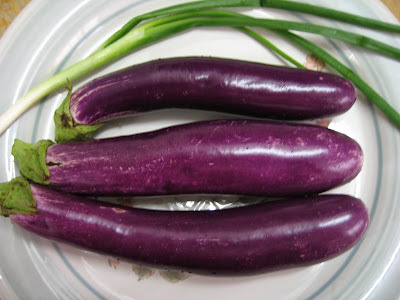 Steam the eggplants for 15 minutes. 3. Turn the heat off and move the steamed eggplant to a bowl. Set it aside and allow to cool. 4. After the eggplants have cooled, drain the liquid from the bottom of the bowl. 5. 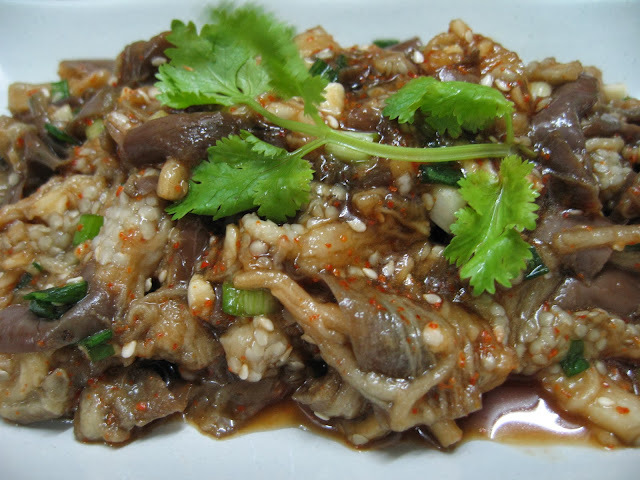 Tear each piece of eggplant lengthwise with your fingers, and put the strips into a large bowl. 6. Add all the seasonings and the chopped spring onion to the bowl. 7. 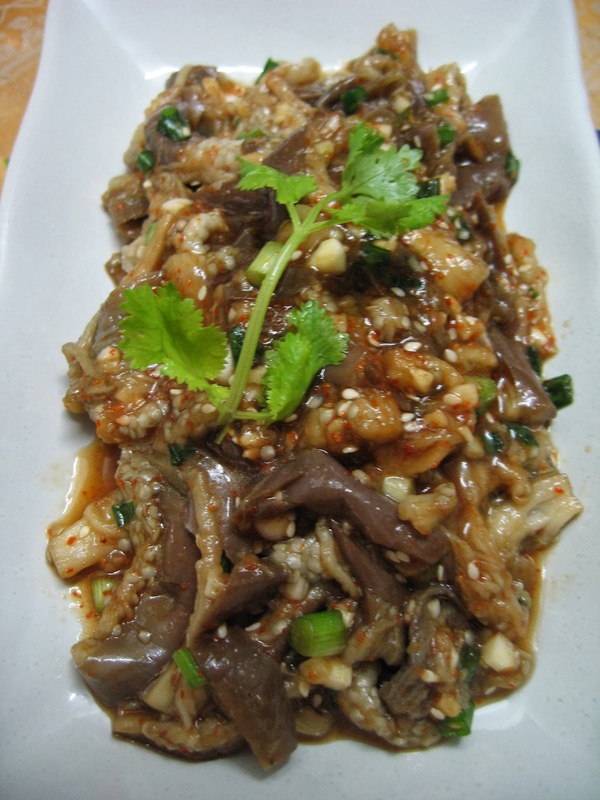 Mix all the ingredients together and transfer the mixed eggplant dish onto a serving plate.